Raise your hand if you’ve looked at photographs of yourself from your awkward teen years, and then praised the heavens, knowing that nobody will ever see those images of butterfly clips and retainers unless you CHOOSE to put them on the internet. 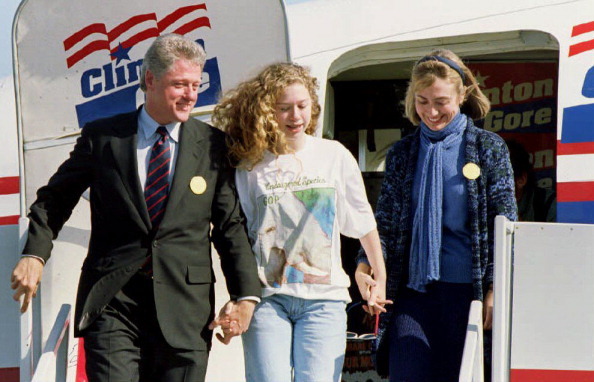 Now imagine going through your adolescence in The White House --- during the ~fashionable~ era of the '90s no less. 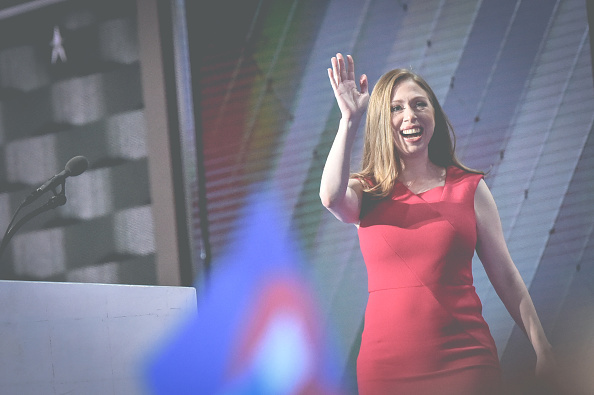 Welcome to Chelsea Clinton’s reality. 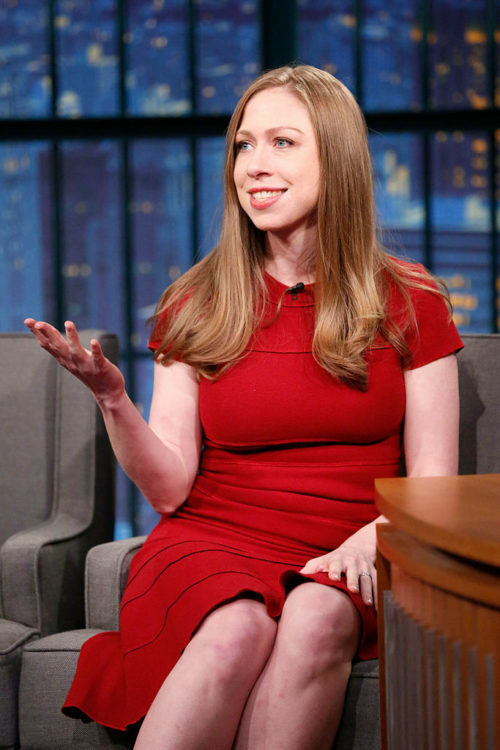 Chelsea’s father, Bill, was President of the United States from 1993-2001. 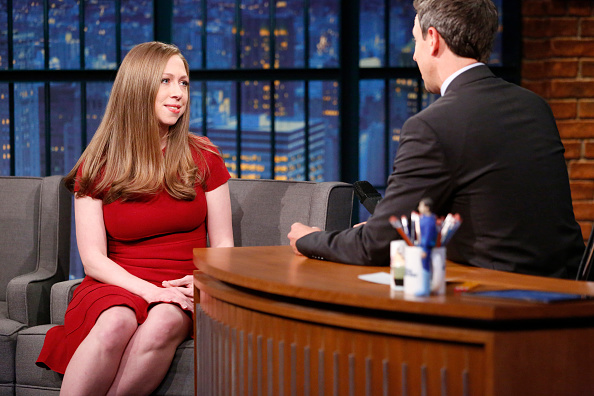 And during an appearance on Late Night with Seth Meyers, Chelsea got real about growing up as a public figure in our fave decade. "I was also a child of the '90s, and when I look back at the way I dressed in 1992, I'm so psyched I wasn't a public figure." I’m imagining if photos of my alternating pink-and-blue orthodontia fashion was available for public viewing, and I am mortified. SENDING YOU STRENGTH, CHELSEA. Watch the full interview clip above, and also hear Chelsea talk about growing up in a political family that is constantly under attack — and about the “deeply troubling” discriminatory policies pushed by the Trump campaign.